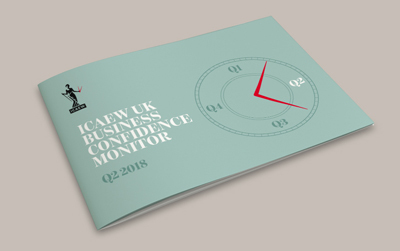 The latest ICAEW Business Confidence Monitor (BCM) shows that business confidence has moved back into positive territory, its highest level for two years. Regulation and staff turnover are becoming bigger challenges for businesses. Confidence is clearly positive this quarter, at +7%, and this increase is apparent across all types of company. Companies that export are more confident than those that don’t. The expansion in sales is stronger than in 2016 and 2017 but not yet back to the rates seen in the two years prior to 2016. It is, however, evenly balanced across domestic and export markets. Improved profit growth is supported by sales growth and restraint on wages. Input price inflation remains high by the standards of recent years, while selling price growth stays low. Slightly higher profit growth together with improved confidence is supporting increases in capital investment, Research & Development (R&D) and staff development. Regulation is the strongest and most widely-reported growing challenge for businesses, reflecting a variety of legislation introduced. Increasing concern about staff turnover is also on an upward trend, particularly in Construction and Business Services sectors which employ large numbers of migrant workers. Confidence has improved in 10 out of 11 regions, and is positive in all. Confidence among companies based in London is still weak but is at least positive for the first time in a year, at +3.4 in Q2 2018. This may reflect increased sales growth (up 4.6% against 2.7% last year) as well as progress in Brexit negotiations. The government’s commitment that EU citizens who arrive during the transition period will have the same rights as those already here is important to the capital, which is particularly reliant on EU-born workers. Elsewhere, in Wales business confidence is up strongly. Companies are achieving price rises of 2.1% and the proportion working below capacity has dropped to 39%, the lowest in the UK. Meanwhile, companies in the North West seem to have gained confidence from growth in their exports; at 5.8%, the highest of any region. In contrast the East Midlands has seen only a moderate rise in confidence over the last few quarters. Weak selling price growth (1.3%) and pressure from input prices (2.8%) are likely factors, but the region is also very exposed to domestic markets, and so will have been affected by the squeeze on household incomes in 2017. 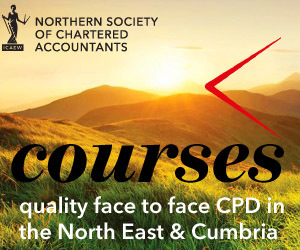 Q2 2018 ICAEW Business Confidence Monitor – downlowd the report HERE.